Our company is occupied with providing dedicated and reliable builders cleaning that is done by trained cleaners. We have long dealt with a wide range of cleaning procedures and for that reason we can say without any hesitation that we can handle every cleaning task that is required. Book our builders cleaning in Earls Court to get rid of the mess after you finish with the construction work and other procedures at home. To ensure the comfort of our customers, we have set very flexible working schedules which means that you can book the service during the week or at the weekends. We are encouraging you to book our builders cleaning because this way, you won’t need to bother with the cleaning procedures all by yourself. Our cheerful and comprehensive cleaners can take up with the cleaning as soon as you contact them and they will use the most modern approaches to remove the dirt. 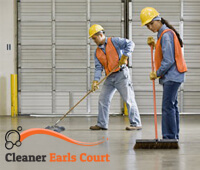 Book our builders cleaning in Earls Court and we promise to offer you perfection in every detail. We are sure that we can meet your expectations because we are hard working and because we possess excellent toxic free equipment. We will remove all the stains and dirt in the fastest possible way. Regardless of the time of the day, you can be sure that we will send our team of dedicated cleaners who will give the utmost of their efforts to clean your home. 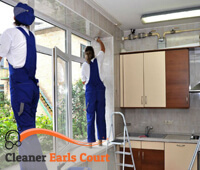 Choose our builders cleaning in Earls Court and you will have the chance to benefit from our outstanding offers and reasonable prices. Should you need any further details, you can use the customer support centres that work both during the week and at the weekends to respond to your questions.